Crooked teeth can do more than be devastating for your self-esteem. In addition to making it difficult to smile for pictures or get close to the people you love, crooked teeth can also harm your oral health. Here are a few issues that might arise if your teeth aren’t aligned properly. Muscle Strain and Jaw Problems: Crooked teeth can throw off your bite and affect the way that you chew and talk, which can cause muscle strain and jaw problems. This misalignment can also affect the face of your shape and cause speech problems, such as a lisp. In addition to suffering from an unnatural appearance, patients who have crooked teeth frequently report problems such as neck pain, headaches, and painful jaws. Tooth Erosion: When teeth don’t line up like they should, your teeth can develop unnatural erosion patterns. For example, instead of eroding along the surface, they might erode along the side at an angle, throwing off the shape of your teeth. Tooth fractures are also common in patients who have crooked teeth, since the mouth doesn’t close properly. Gum Disease: Crooked teeth are also more difficult to clean and keep clean, since jagged gum lines, overly tight junctions, and strange gaps can collect food debris and be difficult to brush. Over time, the plaque in these areas can harbor high levels of bacteria, which can penetrate under the gum line and cause gum disease. Increases Risk of Oral Injuries: When teeth are jutting out at strange angles, the mouth is at a higher risk of oral injury. For example, if a patient with severely crooked teeth gets hit in the face during a sports game or a car accident, the teeth can penetrate through the lips or gum tissue. The inherent issues of crooked teeth have been recognized for centuries. Although you might assume that orthodontics is a relatively new field, it was actually the first dental specialty, practiced by the ancient Greeks and Egyptians. In fact, archeologists have even discovered crude metal bands wrapped around teeth on mummies to close gaps, and ligature wire was found in a Roman tomb. 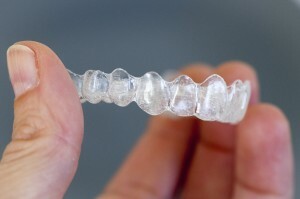 Despite these early inventions, most orthodontic inventions didn’t occur until after the 18th century. Orthodontics is one of the nine specialties recognized by the American Dental Association, and the field has come a long way—even in the last twenty years. In addition to using advanced imaging to map out an orthodontic plan, modern orthodontists have access to smaller, stronger screws and durable, yet invisible dental cement. Modern clinicians also offer a large range of braces, including lingual braces, which are installed on the inner sides of teeth, self-litigating braces, and the Invisalign retainer system, which is completely clear and removable. Unlike general dentists, who basically receive an introductory course in orthodontics, orthodontists receive an additional two to three years of training to learn more about the bite, proper alignment procedures, and jaw problems. Orthodontists can treat a huge variety of alignment problems, including overcrowding, gapping, and teeth that haven’t moved down into their places correctly. Advanced Dentistry of Scarsdale is proud to work with a highly experienced orthodontist, Dr. Frank Celenza. Amongst other achievements, Dr. Celenza has been designated an Invisalign Premiere Provider since 2014. If you are interested in orthodontic treatment, make an appointment with us today.